On Tuesday 27th June, Year 6 attended their Leavers Service at Guildford Cathedral. 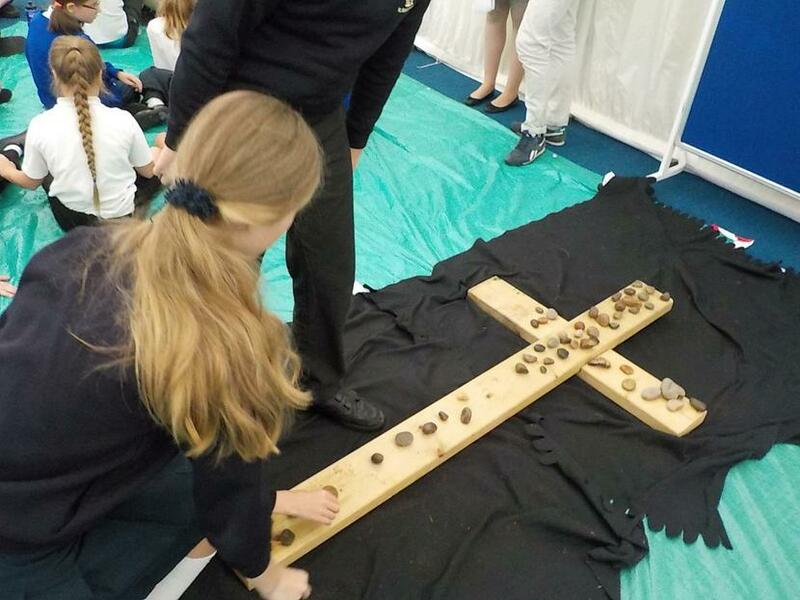 They enjoyed a fabulous afternoon alongside hundreds other Year Six children from Guildford Diocese church schools. 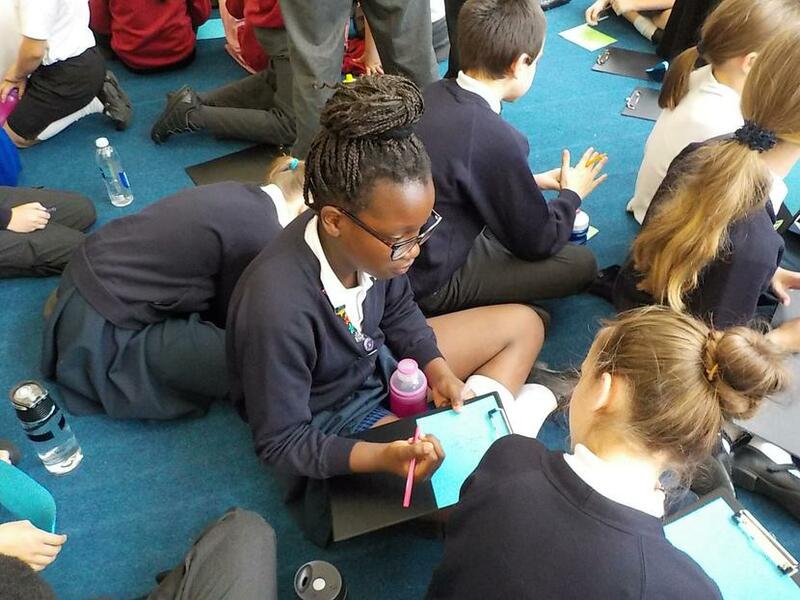 We were entertained with wonderful singing and some exceptional, reflective workshops which helped the children reflect on their time at primary school. 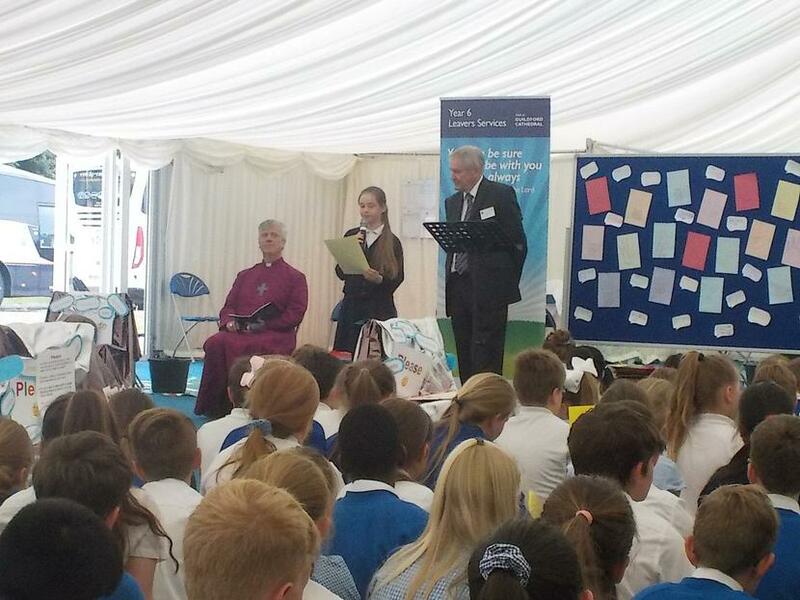 The service was led by Bishop Andrew and The Director of Education, Michael Hall. 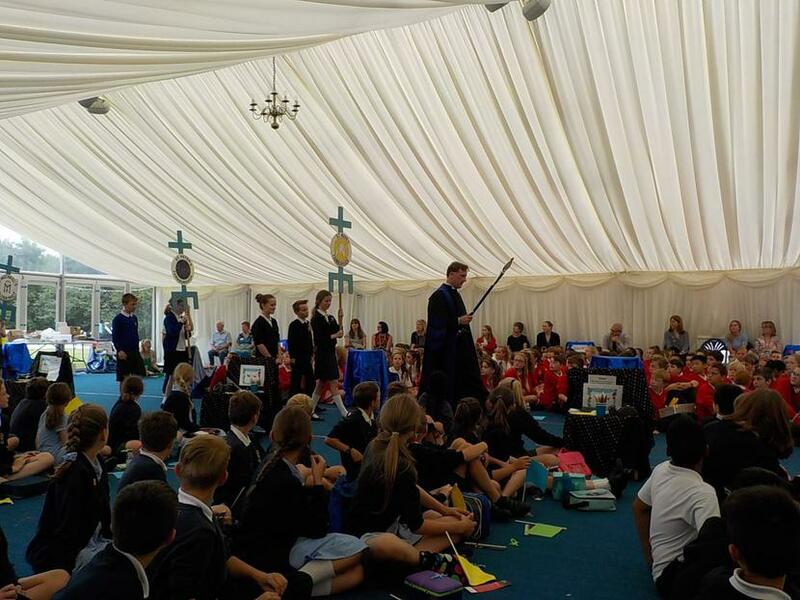 The Very Revd Dianna Gwillliams, Dean of Guildford welcomed the children and the staff of the Diocese Education centre and Cathedral ensured all the children had an afternoon to cherish. Our children were wonderful; they were praised by everyone who worked with them. Our standard was carried with pride and one of our pupils read the most heat-warming reading about her time in Primary school that brought tears to our eyes. Well done Year 6!